YiLoLife, Inc. (“YiLo”), a cannabis holding company, is setting plans in place to expand into California from its Arizona base. YiLo is now developing operations in California for cultivating and manufacturing products. It has acquired a 34,000 square foot warehouse on a 4.66 acre parcel and also obtained a California state license enabling it to cultivate, manufacture and distribute within the state, according to Carsten Loelke, founder and CEO. The company is currently working on building out the warehouse to ready it for the processing of its products. YiLo notes that the facility can be expanded to up to 130,000 square feet. The Phoenix-based company is already operational in the neighboring state of Arizona, where it distributes its line of YiLo-branded edibles, such as soft gels and gummies, drinks and other THC and CBD products, to dispensaries statewide. It also operates the YiLo Superstore on 2841 W Thunderbird Road in Phoenix. YiLoLife, Inc.’s goal is to become a public company listed on the NASDAQ. To achieve that, the company is seeking to attract more shareholders, as required to qualify to be listed on the exchange. “It’s a new era for cannabis. There’s never been a better time to invest,” Loelke said. California is developing the largest cannabis market in the world, and YiLo’s expansion could mean an even more lucrative investment for its shareholders. This entry was posted in Stocks to Watch on January 31, 2018 by QualityStocks. On January 10, 2018, consumer loan provider IEG Holdings Corp. (OTCQB: IEGH) announced that its wholly owned subsidiary, Investment Evolution Crypto, LLC, is negotiating to purchase a gold project with prospecting licenses and known gold resources. The corporation plans to use a gold resource for the creation of its own gold metal-backed cryptocurrency, with a view to offering loans and accepting loan repayments through blockchain technology. Investment Evolution Crypto has not started mineral operations as yet, but it is currently developing plans to explore these crypto/blockchain opportunities. These efforts will include an evaluation of the legalities and associated economic risks. Unlike other digital currencies like bitcoin, ether, Ripple and Litecoin, IEG Holdings’ cryptocurrency will be backed by gold and registered with the Securities Exchange Commission (SEC) as a security. IEG Holdings, based in Las Vegas, is a global leader in consumer finance and provides small-sized online personal loans to consumers in the United States. Through its operating subsidiary, Investment Evolution Corporation, the company offers loans under the brand “Mr. Amazing Loans.” Mr. Amazing Loans is a fintech company that specializes in providing loan amounts of $5,000 to $10,000 to consumers through a professional, user-friendly website. IEG Holdings’ loans are unsecured consumer loans with a five-year maturity period and interest rates that are significantly lower than payday lenders. Through Mr. Amazing Loans, consumer loans receive same-day processing, with no prepayment penalty and no hidden or additional fees. Repayment interest rates are fixed at an annual percentage rate (APR) of 29.9 percent or less for the life of the loan. According to the Center for Responsible Lending, typical payday lenders charge interest rates ranging from 391 percent to 521 percent APR on loans from $100 to $1,000 (http://ibn.fm/XyAYf). Terms presented by Mr. Amazing Loans offer low fixed repayments which fit into consumer budgets in an effort to ensure that they strengthen their financial positions. Loans may be approved on the same day of application, and funds are deposited directly into approved consumers’ bank accounts. IEG Holdings is licensed and/or holds certificates of authority to originate loans in 20 states, including Alabama, Arizona, California, Florida, Georgia, Illinois, Kentucky, Louisiana, Maryland, Missouri, Nevada, New Jersey, New Mexico, Ohio, Oregon, Pennsylvania, Texas, Utah, Virginia and Wisconsin. All loans are processed and serviced through the company’s corporate offices in Las Vegas, which eliminates the need for physical offices in each state where the company is licensed to conduct business. While IEG Holdings’ primary goal is to create its own gold metal-backed cryptocurrency, it will explore the acceptance of established digital currencies, like bitcoin, for consumer loan repayment. With its foray into the rapidly growing blockchain space, 2018 promises to be a year of substantial growth for the company. This entry was posted in IEG Holdings Corp. IEGH on January 31, 2018 by QualityStocks. Medical Cannabis Payment Solutions (OTC: REFG) provides the industry with fully secure, state-of-the-art financial services that are simple to set up and easy to use. In January, the company launched Green, a platform with full merchant account functionality. Cash-only operations are now a thing of the past. This comprehensive card processing operation allows for online sales, client management, repeat billing and 100 percent secure electronic payments. Still classified as an illegal drug by the federal government, marijuana sales have left legal marijuana distributors in need of financial and banking solutions. Green is the answer. Green allows marijuana dispensaries to have immediate access to funds while simultaneously keeping them in compliance with all Financial Crimes Enforcement Network (FinCEN) laws. Operating as a cash-only business creates a number of problems. Tracking funds and managing security can be a logistical nightmare. Medical Cannabis Payment Solutions allows businesses to be more accountable with their cash flow and more accurately track sales. It also helps simplify payroll and bills. Businesses can pay expenses straight from their Green accounts. 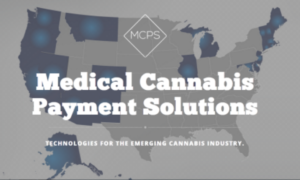 Medical Cannabis Payment Solutions offers businesses an advanced client management system, relieving the headache that comes with a cash-only operation. Green allows businesses to take payments directly from patients. Branded cards for clients are available so that they will have the businesses’ brands with them everywhere they go, fostering customer loyalty. Recurring billing orders can be set up, as well as integrated ecommerce shopping carts for online orders. Green is a total banking solution. Cannabis-related businesses now have top-tier banking solutions that are simple to use. This entry was posted in Medical Cannabis Payment Solutions REFG on January 31, 2018 by QualityStocks. There is indisputable scientific evidence of the curative effects of cannabinoids, and specialty biopharmaceutical companies are positioning to capitalize on the explosive growth expected in the cannabinoid-derived pharmaceutical market. In a report that may be substantially underestimated, the global medical cannabinoid market is expected to exceed $55 billion by 2025 (http://ibn.fm/stG53). However, the discovery of the human endocannabinoid system dramatically changed both the understanding and the vast potential of cannabinoid therapeutics. Understanding of the human system of lipids and receptors has sparked new scientific research into cannabinoids that may affect a much broader range of physiological functions than previously considered. With a tsunami of innovation, cannabinoid biopharmaceutical companies now research, identify and develop new drug candidates to improve and extend patients’ lives, create unique therapeutics to treat multiple maladies and provide new solutions for unmet medical needs. At the vanguard of biopharmaceutical advancements in cannabinoid therapeutics, Teewinot Life Sciences Corporation has emerged as a leader in the manufacture and delivery of products containing cannabinoids, cannabinoid analogs (modified to enhance efficacy), and cannabinoid prodrugs (activated by body metabolism). Teewinot’s patent-protected biosynthetic cannabinoid manufacturing processes, called CANNSYNTHESIS®, are substantially more efficient than conventional chemical synthesis or methods of botanical extraction from the cannabis plant. The company’s patent protected processes for production of pure cannabinoids utilize biocatalysts and synthetic biology. With its wholly owned subsidiaries, Teewinot Technologies Ltd. (fka Full Spectrum Laboratories Ltd.) and Teewinot Laboratories Inc. (fka CMH Biotechnologies), both domiciled in legally favorable jurisdictions, Teewinot has created novel methods of cannabinoid production that reduce cost and production time while increasing purity. Teewinot’s unique ability to cost effectively manufacture industrial quantities of exact cannabinoid molecules and modify delivery methods may become an indispensable asset in the global quest to develop effective new cannabinoid therapeutics. The company’s system diversifies the number and types of molecules that can be made available for research, product development and commercial pharmaceutical production of potentially life-changing drugs. To protect this invaluable asset, Teewinot has taken aggressive intellectual property protection actions and filed patent applications in key countries around the world. Teewinot has created an exceptional combination of cutting edge scientific research on cannabinoids and an aggressive intellectual property portfolio to develop new and improved patient therapies and build significant value. A myriad of cannabinoid-based drugs may soon be developed to unlock a vast range of new therapeutics that benefit millions of ailing people and answer lingering unmet medical needs. These new-found therapeutics have the potential to create a bonanza in the biopharmaceutical sector, and Teewinot may well become the beneficiary. This entry was posted in Teewinot Life Sciences on January 31, 2018 by QualityStocks. This entry was posted in QualityStocksNewsBreaks, RJD Green Inc. RJDG on January 31, 2018 by QualityStocks. This entry was posted in Epazz, Inc. EPAZ, QualityStocksNewsBreaks on January 31, 2018 by QualityStocks. Pursuant to the applicable federal law, the sale or distribution of CBD with less than 0.03% of tetrahydrocannabinol by retailers may be permissible in all states. However, the local, state and federal laws regarding these issues tend to remain in flux and should be accordingly reviewed by local counsel and, as such, legal advice is not intended, but specifically disclaimed. This entry was posted in PotNetwork Holding, Inc. POTN, QualityStocksNewsBreaks on January 31, 2018 by QualityStocks. This entry was posted in Global Payout Inc. GOHE, QualityStocksNewsBreaks on January 31, 2018 by QualityStocks. Shares of Medical Innovation Holdings (OTC: MIHI) are up 9% after the company, along with Advanced Medical Pricing Solutions (“AMPS”), this morning said the companies have signed a Memo of Understanding (“MOU”). The MOU outlines the role each company will play in specific initiatives that permit both companies access and acceleration to markets. AMPS will deliver healthcare cost containment solutions and services for the rollout of the MIHI HealthCare Sharing Organization (“HCSO”), a member-based coverage model. MIHI intends to market its HealthCare Sharing Organization to the 58 million Hispanics in the US and plans to utilize the health care navigator services from AMPS. “Utilizing a private coverage platform along with a private build out of a national care model places us in a very competitive position. AMPS is a cost containment solution that if utilized properly we can achieve substantial savings and provide more benefits to our members. Because of AMPS’ solutions we can get there faster, easier, better, and less expensive than if we opted to go it alone,” Medical Innovation Holdings CEO Jake Sanchez stated in the news release. About Medical Innovation Holdings, Inc.
MIHI, a Colorado-based publicly traded company, owns and operates strategically aligned health care service companies focused on the delivery of clinical virtual medicine (health) as a way of bringing quality medical care to all areas of need including rural and underdeveloped areas across the country. Through wholly owned subsidiary 3Point Care, MIHI pairs personalized, high-tech, high-touch, telemedicine encounters via virtual health specialty doctors with traditional primary doctors utilizing next-gen virtual health technologies in order to connect a patient with a multi-disciplinary specialty clinical health care practice. Through other companies and relationships, MIHI offers Affordable Care Organization (ACO) support, wellness and prevention, lab analysis and lab services, and remote diagnostic monitoring. For more information, visit the company’s website at www.MedicalInnovationHoldings.com. This entry was posted in Medical Innovation Holdings, Inc. MIHI, QualityStocksNewsBreaks on January 31, 2018 by QualityStocks. This entry was posted in Petroteq Energy Inc. PQEFF, QualityStocksNewsBreaks on January 31, 2018 by QualityStocks. Southern California-based alternative fuel company Greenkraft (OTCQB: GKIT) this morning said it sees potential orders from customers who want to replace their older diesel trucks with a more environmentally friendly option. The company offers cleaner alternatives to diesel trucks, which many fleet operators in California are looking to replace. Greenkraft believes it could provide a solution for these fleet operators through its suite of commercial trucks that are powered by alternative fuels such CNG and LPG in classes 4 to 7. The company would see an increase in revenue for 2018 through the potential orders. Greenkraft, Inc., a profitable, revenue-generating company, is a major manufacturer of alternative fuel automotive products. Greenkraft was created to introduce clean, green, efficient, automotive products that run on alternative fuels. The Company offers alternative commercial forward cabin trucks and alternative fuel systems for various vehicles. Greenkraft commercial trucks are powered by alternative fuels such CNG and LPG in Classes 4, 5, 6 and 7. Greenkraft, Inc. designs, develops, and manufactures compressed American natural gas and propane gas forward cabin trucks, alternative fuel systems and alternative fuel engines. For more information, please visit the company’s website at www.GreenkraftInc.com. This entry was posted in Greenkraft, Inc. GKIT, QualityStocksNewsBreaks on January 31, 2018 by QualityStocks. Diversified resource and technology company MGX Minerals Inc. (CSE: XMG) (FKT: 1MG) (OTCQB: MGXMF) this morning announced that its operating partner has received approval from the State of Utah Division of Oil, Gas & Mining to conduct a 3D geophysical survey of the Blueberry Unit at its Paradox Basin petrolithium project. Per the update, the survey will outline subsurface geological formations and structures favorable for accumulations of oil and gas, as well as lithium brine-bearing formations. The company’s Paradox Basin project, which comprises over 110,000 acres of oil and gas leases and 118,000 acres of largely overlying mineral claims, is being simultaneously explored for oil, gas, lithium and other brine materials, positioning it as the first large scale integrated petroleum and lithium exploration project in the United States. This entry was posted in MGX Minerals, Inc. MGXMF, QualityStocksNewsBreaks on January 31, 2018 by QualityStocks. Oil continues to be the world’s leading fuel, according to experts, accounting for about one-third of global energy consumption (http://ibn.fm/kzaJw). Fifteen years of decline – from 1994 to 2014 – have not been enough to knock petroleum off that perch, and, in 2015 and 2016, its global market share actually rose. Despite the environmental concerns that surround its use, oil is going to be around for a while. The management team of Petrogress, Inc. (OTC: PGAS) knows that. The company has been operating in the oil and gas industry since 2009. Led by CEO Christos Traois, who has over 25 years’ experience in the maritime industry and an eight-year track record in the oil industry, Petrogress continues its journey to success. Its vision is to be a global, vertically integrated energy company, well regarded for its people, partnerships and performance. It is well on the way to being exactly that, as its landmarks will testify. Incorporated in the Marshall Islands in 2009, the company set up operations in Piraeus, famed as the port city of Athens in antiquity, and began chartering its vessels to transport gas oil. Gas oil is distilled crude with a range of boiling points (250-350°C) very similar in properties to diesel. Relying on previous experience as a maritime bunker supplier in and around Greek ports, the company shipped petroleum product from the Black Sea to the Mediterranean. In 2010, due to the vibrancy of the oil and gas sector in Africa, Petrogress expanded operations to West Africa and, in particular, Nigeria and Ghana. In 2011, Petrogress began trading crude. In view of its success in shipping petroleum products, the company decided to enter directly into trading crude, as well as shipping. Based on the expertise and relationships developed while acting solely as a carrier, Petrogress was able to seamlessly mesh its shipping and trading activities, after which the company was set for the next stage on its path to full integration. By 2013, Petrogress had become well known in the region as a Low Pour Fuel Oil (LPFO) trader. It shipped around 110,000 barrels that year, most of which was bought from small suppliers. By 2014, it was operating four tankers and LPFO sales had increased to 175,000 barrels. In addition, the company transported 8,750 tons of gas oil that year. The company also collaborated with a small Ghanaian refinery and acquired another tanker. During 2015, Petrogress increased its petroleum product sales to around 400,000 barrels of LPFO and 10,000 tons of gas oil, strengthening its position as an oil trader in West Africa. Going forward, Petrogress is eyeing the U.S. gas export market (http://ibn.fm/l690J). In 2017, the U.S. became a net exporter of natural gas, according to the U.S. Energy Information Administration (EIA), mainly because of growing exports to Mexico but also because of declining pipeline imports from Canada and increasing exports of liquefied natural gas (LNG). The United States is currently the world’s largest natural gas producer, having surpassed Russia in 2009. Natural gas production in the United States increased from 55 billion cubic feet per day (Bcf/d) in 2008 to 72.5 Bcf/d in 2016. Most of this natural gas – about 96 percent in 2016 – is consumed domestically. However, abundant resources and large production increases have created opportunities for significant U.S. natural gas exports. At some point, Petrogress plans to begin leasing LNG tankers to enter this lucrative market. It has incorporated a subsidiary in Delaware – Navigas Carriers Inc. – specifically to manage its natural gas activities. A sister subsidiary – Petrogress Oil & Gas Energy Inc. – has been incorporated in Texas to handle trading and logistics. The company is actively seeking opportunities in operating and developing natural gas production and transmission facilities along with LNG processing in the U.S., as well as refinery operations in North and West Africa and the transport and sales of LNG in Europe. This entry was posted in Petrogress, Inc. PGAS on January 30, 2018 by QualityStocks. Epazz, Inc. (OTC: EPAZ) is a leading provider of blockchain cryptocurrency mobile apps and cloud-based business software solutions that specializes in providing customized web applications to the corporate world, higher education institutions and the public sector. The company’s strategic expansion into the investment fintech software space can be seen in the recent acquisition of the android app CryptoFolio, which securely tracks and manages Bitcoin and Altcoin portfolios. Epazz, Inc., which acquired the software rights, source code and user base of CryptoFolio, plans to add additional cryptocurrencies and languages to the app, along with an iOS version to attract more users. Epazz also offers ZenaPay Bitcoin wallet, which has been downloaded more than 10,000 times since its launch on the Play Store. A subsidiary of Epazz, ZenaPay is a financial technology company that offers a unique, secure and reliable Bitcoin payment app, allowing consumers to acquire Bitcoin at the point-of-sale. The consumer can then use this digital currency to make a purchase with ease. The CryptoFolio business model provides free features to attract users and then allows users to purchase additional features from $1.99 to $5.99 each. CryptoFolio is a great add-on app for ZenaPay, and future versions of CryptoFolio will include an option to download ZenaPay. Epazz technology makes it easy to convert legacy systems into cloud business process software, for which the company then charges an annual subscription fee. Epazz has acquired 11 software companies that have converted or are in the process of converting their legacy software products to cloud software using Epazz technology. Epazz then markets the new cloud-based solutions to new and existing customers. Epazz’s unique BoxesOS™ applications can create virtual communities for enhanced communication, provide information and content for decision-making, and create a secure marketplace for any type of commerce. Epazz has also filed a provisional patent for its new blockchain smart legal contract technology that reduces fraud in business transactional contracts. The technology allows for a transactional contract to become a living contract that is tracked and traced; it also verifies that a section of terms within a contract are followed and that all parties of an agreement obey the terms of the contract. This entry was posted in Epazz, Inc. EPAZ on January 30, 2018 by QualityStocks. This entry was posted in AV1 Group, Inc. AVOP, QualityStocksNewsBreaks on January 30, 2018 by QualityStocks. PotNetwork Holding, Inc. (OTC: POTN) this morning announced that it, along with subsidiary Diamond CBD, was highlighted in a recent comprehensive research report from SeeThruEquity. In addition to summarizing industry statistics and PotNetwork’s recent corporate milestones, the research report set an updated price target of $1.25 on the company’s shares. SeeThruEquity attributed this increase to PotNetwork’s strong monthly sales data and 3Q17 filings, which indicate “continued profitability as the company invests in growth.” PotNetwork previously announced preliminary 2017E sales estimates of $14.5 million and, per the SeeThruEquity report, is well-positioned to meet or exceed its 2018E estimate. “It is very rewarding to experience this type of growth and success, and all the more pleasing to see an acknowledgement of our collective efforts in the marketplace,” Dr. Richard Goulding, CEO of PotNetwork Holding, stated in the news release. This entry was posted in PotNetwork Holding, Inc. POTN, QualityStocksNewsBreaks on January 30, 2018 by QualityStocks. 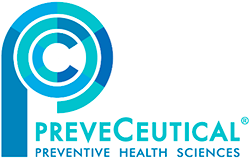 Health sciences company PreveCeutical Medical Inc. (CSE: PREV) (OTCQB: PRVCF) (FSE: 18H) this morning announced and detailed its entry into a research and option agreement with the University of Queensland (“UQ”) and UniQuest Pty Limited, UQ’s main commercialization company. Per the terms of the agreement, the parties intend to conduct a research program aimed at expanding the use of their disulfide linker technology and developing non-addictive analgesics for the treatment of pain. The research program has a targeted start date of March 1, 2018, and is expected to be led by UQ researcher and PreveCeutical Chief Research Officer Dr. Harendra Parekh. PreveCeutical will own all intellectual property developed under the program and will be granted an option to negotiate an exclusive worldwide license to UniQuest’s background IP. This entry was posted in PreveCeutical Medical Inc. PRVCF, QualityStocksNewsBreaks on January 30, 2018 by QualityStocks. Petroteq Energy is engaged in the development and implementation of its proprietary environmentally friendly heavy oil processing and extraction technologies. The company’s proprietary process produces zero greenhouse gas, zero waste and requires no high temperatures. Petroteq is currently focused on developing its oil sands resources and expanding production capacity at its Asphalt Ridge heavy oil extraction facility located near Vernal, Utah. The company also owns a minority stake in an exploration and production play located in southwest Texas held by Accord GR Energy Inc. Petroteq is also developing technologies to optimize petrochemical industry workflow processes. For more information, visit www.PetroteqEnergy.com. This entry was posted in Petroteq Energy Inc. PQEFF, QualityStocksNewsBreaks on January 30, 2018 by QualityStocks. Skinvisible Pharmaceuticals is a research and development company that licenses its proprietary formulations made with Invisicare®, its patented polymer delivery system that offers life-cycle management and unique enhancements for topically delivered products. Invisicare holds active ingredients on the skin for extended periods of time, allowing for the controlled release of actives. For more information, visit the company’s website at www.Skinvisible.com. This entry was posted in QualityStocksNewsBreaks, Skinvisible, Inc. SKVI on January 30, 2018 by QualityStocks. This entry was posted in Global Payout Inc. GOHE, QualityStocksNewsBreaks on January 30, 2018 by QualityStocks. Diversified resource and technology company MGX Minerals Inc. (CSE: XMG) (FKT: 1MG) (OTCQB: MGXMF), through wholly-owned subsidiary ZincNyx Energy Solutions, Inc., this morning announced its commencement of the development of a scaled-up 20kW mass storage system for use in utility-scale battery storage. Per the update, the 20kW/160kWh modules represent a 4x increase in both energy and power as compared to ZincNyx’s current 5kW systems, all while boasting benefits such as lower costs, higher energy density and the ability to serve broader market segments. With the expanded range of the next generation system, ZincNyx is effectively addressing the need for long duration energy storage solutions for use with renewable energy sources such as wind and solar. Taking aim at this market need while remaining practical for numerous other energy storage applications, the updated system can be housed in a shipping container for deployment at remote locations or installed in free standing racks in warehouse-type environments. This entry was posted in MGX Minerals, Inc. MGXMF, QualityStocksNewsBreaks on January 30, 2018 by QualityStocks. Consorteum Holdings, Inc. (CSRH) Extends Strategic Agreement with Knockout Gaming, Inc.
Consorteum Holdings, Inc. (OTC: CSRH) has extended its strategic agreement with Knockout Gaming, Inc. (http://ibn.fm/CJc6a). CSRH said that Knockout Gaming has enhanced its online gaming platform, and, under the agreement, Knockout will provide its platform to Consortium’s 359 Mobile, Inc., a wholly-owned subsidiary that recently completed the framework integration of its Universal Mobile Interface™ (“UMI”) platform into a mass scale transaction and settlement mobile gaming framework. The announcement indicates that, by providing its platform to 359 Mobile, Knockout Gaming will be able to deliver mobile online gaming products under existing licenses to certain regulated gaming markets worldwide, including the United Kingdom. The new strategic agreement will allow the companies to combine the strengths of their two different platforms, per the news release. CSRH is a software development company and a mobile device solutions provider, delivering complex mobile-based transactions through partnerships, license agreements and revenue-sharing joint venture arrangements. It eyes growth in FinTech, or next-generation financial technology, enabling it to leverage its expertise in vertical-based and direct solutions. Its UMI technology can provide digital solutions in data analytics, payment processing and other opportunities in the mobile FinTech industry and its associated verticals. Knockout Gaming is a diverse company in iGaming, offering a turnkey casino solution. It has more than 300 online casino games, including 3D animated games, online poker, a sports betting platform and live dealers online for games such as roulette, blackjack and baccarat. Its goal is to generate maximum revenue for its partners, offering its clients flexible digital solutions. This entry was posted in Consorteum Holdings, Inc. CSRH on January 29, 2018 by QualityStocks. As deaths across the nation rise, families of victims struck down by the influenza A (H3N2) virus are beginning to sound the alarm (http://ibn.fm/DJ4V0). Warning calls by the relatives of Emily Muth (5), Dylan Winnik (12), Alyssa Alcaraz (12) and Alani Murrieta (20), all of whom succumbed to the deadly strain, relate how murderous this year’s outbreak has been so far. Further proof is furnished by the latest report (http://ibn.fm/lRZZK) from the Centers for Disease Control and Prevention (CDC), which indicates that ‘all U.S. states but Hawaii continue to report widespread flu activity and the number of states experiencing “high” influenza activity increased from 26 plus New York City to 32 states plus New York City and Puerto Rico.’ The CDC report also highlights the vulnerability of the young. The number of flu-related pediatric deaths this year has climbed to 30 so far. The crisis has prompted the director of the CDC, Brenda Fitzgerald, to remind the public that washing hands frequently can stop transmission of the virus (http://ibn.fm/nQnm8). A hand rub can work just as well if soap and water are not available, according to Fitzgerald. This is all good advice, says Skinvisible, Inc. (OTCQB: SKVI), which, through its Kintari subsidiary, produces the hand sanitizer, DermSafe®. The antiseptic lotion has already joined the fight against the spread of pathogens. It was used by Team Canada at the 2016 Summer Olympics in Brazil, and this year, Skinvisible has donated over 1,000 bottles of DermSafe to the Canadian team for the Winter Olympics in South Korea. DermSafe non-alcohol hand lotion’s active ingredient is 4% chlorhexidine gluconate (CHG), which offers long-term protection. It destroys both gram-negative and gram-positive bacteria, as well as most viruses, including all of the influenza viruses tested, by providing a long-lasting protective barrier that binds to the skin and actively combats the spread of germs between people and hard surfaces. DermSafe has proven effective against a host of infectious germs including Methicillin-resistant Staphylococcus aureus (MRSA) and Escherichia coli (E. coli). DermSafe employs Skinvisible’s patented polymer delivery system, Invisicare®, which improves the delivery of topically applied skin care products, thereby enhancing the efficacy of the active ingredients. The unique process extends the time that the product remains active on the skin and is specifically formulated to transport active ingredients that are insoluble in water without using alcohol, silicones, waxes or other organic solvents. Invisicare allows products that incorporate its processes to bond more effectively to the skin, thus keeping active ingredients on the skin for up to four hours or longer. Since Invisicare is non-occlusive, it allows normal skin respiration and perspiration while moisturizing and protecting against exposure from a wide variety of environmental irritants. When topically applied, products formulated with Invisicare adhere to the skin’s outer layers, forming a protective bond, resisting wash-off and delivering targeted levels of therapeutic or cosmetic skincare agents to the skin. This allows enhanced delivery performance for a variety of topicals that results in improved efficacy, longer duration of action, reduced irritation and lower required dosage of active agent. Adding icing to the cake, the ‘invisible’ polymer compositions that make up Invisicare wear off as part of the natural exfoliation process that removes the skin’s outer layer of cells. In June 2017, the company announced that it had completed its first international sale of DermSafe hand sanitizer in China through its agent, InterSpace Global, Inc. (http://ibn.fm/QNDxQ). The agreement with InterSpace Global facilitates the export of Skinvisible’s OTC products to mainland China, Hong Kong, Macau, Taiwan, Singapore, Malaysia, Thailand and Korea. This entry was posted in Skinvisible, Inc. SKVI on January 29, 2018 by QualityStocks. The Green Organic Dutchman Holdings Ltd., also known as TGOD, recently announced the closing of $112 million in private placement financing, including a strategic investment by marijuana industry powerhouse Aurora Cannabis Inc. (OTCQX: ACBFF) (TSX: ACB) of $55 million. TGOD issued 67,878,788 units at a price of $1.65 per unit. Each unit included one common share of the company and a half common share purchase warrant that can be converted to a full share at the exercise price of $3 each during the next three years. The investment fully funds the expansion of TGOD’s combined 970,000 square-foot ultra-high technology greenhouse facilities in Ontario and Quebec, Canada. TGOD’s expansion and strategic partnership with Aurora positions the company to be one of the largest and most technologically advanced cannabis production facilities in the world and sets the foundation for its highly anticipated 2018 IPO. Aurora Cannabis, the second-largest marijuana producer in Canada, made headlines on January 24 when it agreed to buy another rival, CanniMed Therapeutics Inc., in what amounted to the world’s biggest marijuana industry transaction, bringing the value of cannabis deals so far this year to $1.2 billion and more than doubling such transaction values for all of 2017, according to Thomson Reuters (http://ibn.fm/zfY7T). TGOD’s mission is to produce ultra-low cost, premium-quality organic cannabis for medical and recreational uses, according to a news release announcing the financing closure (http://ibn.fm/M2lr8). The company’s facilities operate with close to a zero-carbon footprint and will be certified under Leadership in Energy and Environmental Design (LEED) standards. The partnership includes a “standstill” agreement acknowledging that Aurora can’t acquire TGOD during the next 18 months, as the larger company did following months of jostling with CanniMed, allowing TGOD opportunity to develop its potential. The private placement financing closure includes the addition of 2,000 new shareholders, bringing the company to more than 4,000 shareholders total. The company’s combined facilities in Ontario and Quebec will be capable of producing 116,000 kg of its 36 premium cannabis strains, and it is already licensed to cultivate medical cannabis in Canada. Investment in the company now totals $160 million. This entry was posted in The Green Organic Dutchman Holdings Ltd. TGOD on January 29, 2018 by QualityStocks. Although marijuana was one of the fastest-growing industries over the last couple of years and is expected to continue at the same pace throughout 2018 and beyond, authorized businesses and vendors still have a hard time managing their finances and customers in the absence of banking services. With most banking institutions unable to open their doors to legal marijuana businesses because the substance is still classified as an illegal drug by the federal government, it is up to companies such as Medical Cannabis Payment Solutions (OTC: REFG) to provide the industry with fully secure, state-of-the-art financial services. Based in Nevada, the corporation serves the medical marijuana sector. As a merchant processing pioneer of the marijuana industry, Medical Cannabis Payment Solutions brought to the market the first and only comprehensive card processing service. Via Green, a proprietary payment system that was launched earlier in January 2018, the company aims to offer a “cure for the banking nightmare cannabis establishments face,” according to CEO Jeremy Roberts. The platform has full merchant account functionality that allows for repeat billing, online sales, client management and 100 percent secure electronic payments. Green was designed specifically to meet all the demands of marijuana businesses in need of a financial and banking solution, from security to ease of use, compliance, integration and more. The system’s robust closed loop merchant processing brings private and encrypted digital security to vendors in the sector, offering the highest level of security available. It is affordable and easy to use, being designed to deliver a comprehensive suite of processing services, with the end goal of empowering both businesses and customers with the convenience of modern card processing resources. As the first comprehensive card processing system of the kind, Green also tracks tax collection and sales, basically operating as a client management system. Last but not least, Medical Cannabis Payment Solutions’ advanced proprietary platform is fully compliant with Financial Crimes Enforcement Network (FinCen) regulations and parameters for financial institutions serving the medical cannabis sector. To further expand its services to the state-legal medical marijuana sector, Medical Cannabis Payment Solutions announced plans to include bitcoin payment processing in its proprietary payment processing platform. Green offers clients an advanced payment solution that allows purchases with U.S. currency and will soon include bitcoin payment options as well. Roberts explained that the decision was made based on customer feedback, with many vendors interested in implementing cryptocurrency payment options. The Medical Cannabis Payment Solutions CEO is confident that the ability to process bitcoin will give the company an even bigger competitive advantage and will make it more attractive to medical cannabis vendors in a booming market that’s expected to exceed $31 billion within the next three years, from $6.5 billion in 2016. This entry was posted in Medical Cannabis Payment Solutions REFG on January 29, 2018 by QualityStocks.